Jessie Field, director and co-head teacher, joined Creative Montessori School in 2013 as a volunteer in the classroom when her first child was a student. She is a state certified teacher for grades K-12, with five years experience teaching in the Fayette County schools, and a masters degree in education with a specialization in reading and writing. After becoming interested in Montessori, she went back to school in 2015 to acquire her American Montessori Society accreditation. 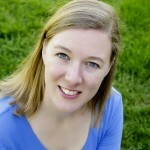 Staci Senatore, co-head teacher, has been teaching Montessori for almost 20 years. She received her primary certification in Montessori education from the North America Montessori Center, and has taught at schools in Kentucky and in New York. She designed, implemented and taught a Montessori toddler program in Georgetown, Kentucky, before joining our staff in 2014. Kanchan Ramkumar Singh, part time assistant, has a master’s degree in economics and a postgraduate diploma in international business. She began her interest in Montessori when her daughter attended CMS, and has recently completed her Montessori Assistant Teacher Preparation course. Cristy Clemans, substitute teacher, has a BA from Centre College with an emphasis in ceramics, and an interest in glass blowing, life drawing, pastels, and oil painting. Cristy brings to CMS her knowledge of art, and her enthusiasm for engaging students in a variety of art experiences. Her son currently attends CMS. 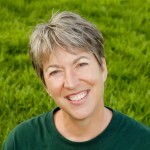 Susan Vorhis founded Creative Montessori School in 1998 and continues to serve as the president of the board. She has a master’s degree in early childhood education and a teaching certificate from the American Montessori Society for ages 2 ½ to 6. 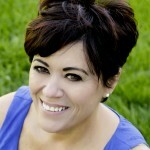 She has been teaching Montessori for over 30 years and brings her expertise as an advisor to the current staff.